Having a funeral after 6:00 pm may be possible but the cost to host a night burial makes that option a no-go in the eyes of persons in the cemetery and burial business. On Sunday in another section of the media, a call was made by Retired Anglican priest Reverend Errington Massiah to stage night funerals. To host a night burial on the other hand, he said there is a lot involved because “you got to think about lights and all sorts of things. I can’t even think of any cemeteries with lights so I don’t think that is feasible. I don’t think so.” And he added that if you go down that line, “you would also have to sit down with the [trade] unions” to negotiate schedules for workers. At present about 75 persons are employed in this department. 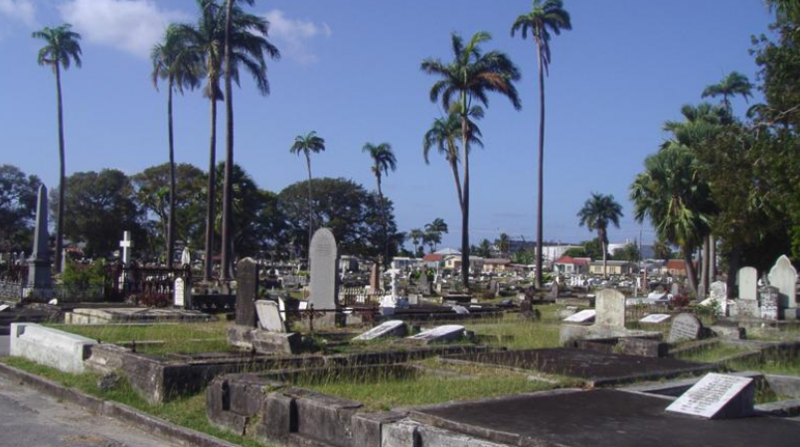 Echoing his sentiment that feasibility would be an issue, the Chief Executive Officer at Coral Ridge Memorial Gardens, Peter Griffith said that a bigger problem is the fact that by law cemeteries cannot operate at night. He said that the move would “certainly increase” cost to the clients as well as stress to the family members. Understanding the intention to reduce the numbers attending funerals though, he however agreed that limiting funeral attendance to immediate family would be the best solution.